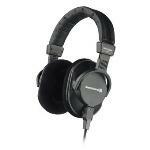 Beyerdynamic DT 250 250 Ohm Expert Reviews - Read Reviews and Buy Smarter Online. Verdict: With the constant flux of new and improved headphones, it's not often that I get to revisit an older model. And yet, today I'm playing around with the Beyerdynamic DT 250 – first released back in 2004 (!) and competitively priced at $199. Verdict: Let's take a quick survey to see if you need a good set of headphones. Do you recognize any of the following scenarios? Verdict: Unbelievable value for money these headphones produce professional levels of sounds I can't stop listening through them. I can only describe them as finding a new dimension to music especially if you've listened through earphones or the cheaper / endorsed branded sets.. Verdict: I've owned these headphones for a number of years now. I chose them because being in or around the music industry i knew that beyerdynamic was the industry standard. The BBC use mostly DT100's for example. I paid i think £150 which to me was a lot of money for a set of headphones back then.